​ These techniques utilize OHT Master Practitioner training. OHT Negative Entity Releasements are used for the Releasement of influences and partial (or full) attachments or possessions by discarnate Spirits, extraterrestrials (“ETs”), multi-dimensional beings (“MDBs”), or other negative entities. These are different types of Releasements – one for ETs/MDBs and one for discarnate Spirits. We facilitate resolution between our client and the discarnate Spirits who are present for Releasement and Healing. It is our practice to offer Transition Facilitations to these departing discarnate Spirits. Those who do not accept this offer are removed from the client, but remain discarnate. We offer two different types of Releasements for discarnate Spirits. The “Routine” Discarnate Spirit Releasement is done throughout the course of an OHT Healing session in working with the chakra system. As an attachment or influence from a discarnate Spirits is found in a chakra, we initiate the Releasement and Healing processes during the OHT session. The “Advanced” Discarnate Spirit Releasement is a “stand alone” procedure that can be done with or without an OHT session. In this form of Releasement we work with the energy matrix of the client to facilitate Healing and Releases at a much deeper level. We facilitate the resolution of vows, curses, and other similar involvements with the discarnate Spirits present in both types of Releasement. In our Negative Entity Releasements for “ETs” or “MDBs”, we only offer an advanced level of Release work. Again, we work with the energy matrix to bring about a resolution to the attachments, influences, and other involvements of these beings with our clients. During these Releasements, we often re-negotiate “contracts” that have led to the attachments, influences, and other associations between our clients and “ETs” or “MDBs”. People who have had abduction issues have found these Releasements helpful. Not all “ETs” willingly leave their energetic attachments with our clients. Quite often, we have to intervene with Universal Laws to break the connections. It is very important to note that with all our Negative Entity Releasements, we quite frequently find that our clients require more than one Releasement session. The human mind and psyche can only process so much information at one time without becoming overwhelmed. These Releasements are very intense for some people and can be emotionally challenging to process. Some attachments and influences have been present for many lifetimes. Just as detoxifying the biological body can create a Healing crisis, Releasing negative entities who have been present for extended periods of time can create a spiritual Healing crisis. We take great care with our clients to help them through their processes, and will only do these Releasements in person and after at least one consultation. We provide Energetic Environments™ with Protection measures for our Releasement clients, in an effort to help prevent new attachments and influences from negative entities. Additionally, we offer a follow up consultation after the Release work to help answer questions that arise. 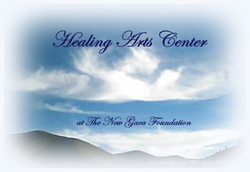 If you have questions regarding our Negative Entity Releasements, please contact the Healing Arts Center. If you are interested in learning more about negative entities, you may want to consider taking our “Understanding Negative Entities” class. Only One Heart Touch® Master Practitioners can engage in our Negative Entity Releasement techniques. These releasements require the highest levels of training and energies. These are very serious Healing processes and not to be taken lightly. Negative entities are not those with whom one wants to play around or experiment with. There is a great deal of training that goes into this work. ​How Can a Negative Entity Releasement help you? I can honestly say that nearly every client I have ever worked with has had some form of negative entity activity present in their energy field. Usually, these activities are the reflections of some sort of unfinished business from another lifetime and usually involve discarnate Spirits. Sometimes there are just a few. Other times there are many, many Spirits to release. We've all had many lifetimes in many Life forms, and sometimes those we have shared those lifetimes with - both "good" and "bad" - still have unfinished business with us. A discarnate Spirit can attach, influence, possess, or connect with your energy in a multitude of ways. There are also clients who come with ET or MDB issues. Some of these clients have been abducted or have been involved in some form of experimentation. Again, an ET or MDB can attach, influence, possess, or connect with your energy in many, many ways. Some of these beings are "good" and helpful. Others are indifferent and are only interested in experimentation. Yet others are very challenging to release from the energy field and are decidedly NOT friendly. No matter what kind of negative entity activity is going on with my clients - and I have to say that not all "negative entities" are negative - it is not a situation that should be continued. You cannot live your Life according to your own Free Will and Choice if you have another being influencing your thoughts or possessing your body - even momentarily. It is not appropriate for another being to experience Life through your body or choices, either. And, if it is not your choice to allow others to experiment on or with your body or Life, then it is something that should be addressed immediately. So, for each of my clients, I encourage you very strongly to add the Negative Entity Releasement procedures to your OHT session. If you'd rather, I can help you with just an advanced Releasement for either discarnate Spirits or ETs and MDBs. You each deserve to exercise your rights of Free Will and Choice as they were given to you at birth. You don't have to give up those rights to a negative entity - even one who is well-meaning. It is YOUR Life. You CAN live it without attachments, influences, possessions, or other interferences from negative entities. Through the Negative Entity Releasement, I can help you find out who is present, why they are there, how they made the connections with you, and how to end them. If a "contract" is in place, I can help you renegotiate it with Universal Laws and the help of the Archangels. I also invoke the Prayer of Protection and Freedom for my clients with this Releasement. If you have questions please ask me. You can also take my class on "Understanding Negative Entities", if you'd like to learn more about them. * - Routinely requires one or more OHT consultations in addition to the procedure itself. These procedures and associated consultations are only done in person.